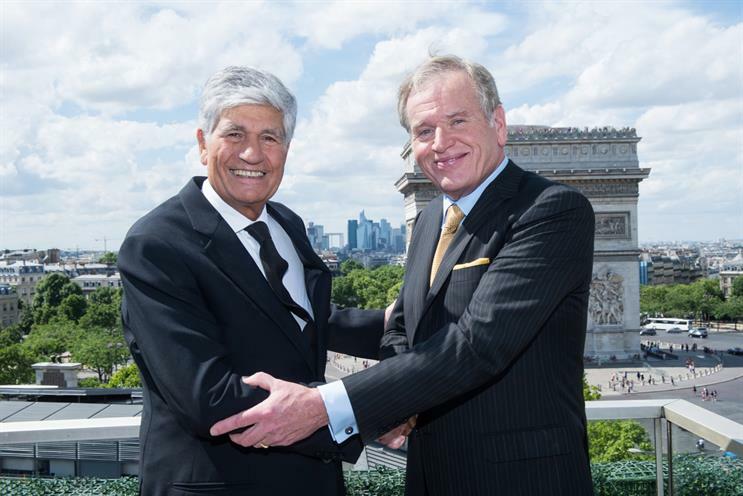 Maurice Lévy and John Wren kick off a charm offensive to persuade investors of the benefits of the proposed $35 billion merger between Publicis and Omnicom. Maurice Lévy and John Wren (pictured), the chief executives of Publicis and Omnicom, have embarked on a charm offensive to woo US investors after their proposed $35 billion mega-merger received a lukewarm response from shareholders, clients and staff this week. Lévy flew to New York, having spent the weekend in Paris completing the deal to create the world’s biggest marketing services company, with combined revenues of $22.7 billion, and bringing together Omnicom brands such as TBWA and BBDO with the Publicis-owned Saatchi & Saatchi and Razorfish. Lévy and Wren have promised the merger would deliver $500 million of cost savings and sources suggest much of this is likely to come from Omnicom, which runs at a 12 per cent profit margin, compared with Publicis’ 15 per cent. Sources expect Jean-Yves Naouri, the chief operating officer of Publicis Groupe, to be charged with improving cost-efficiency at Omnicom, which is known to give gen­erous benefits to the most senior staff. Others suggested underperforming networks could be merged in the future. But investors seemed unconvinced of the strategy, with share prices remaining largely flat, despite a second conference call for analysts on Wednesday, which drew attention to the "special dividend" for shareholders and reiterated plans to improve margins in the merged company. Rival holding group bosses, including WPP’s Sir Martin Sorrell and Havas’ David Jones, questioned the benefit of the deal to employees and clients. Sorrell said: "Time will tell if the cultures will click and whether clients and talent benefit – and how $500 million of synergies will be generated without job cuts. Co-CEOs is not an easy structure." In a call with analysts, Lévy admitted the merger hadn’t enjoyed optimal explanation: "I would like to add something else because I think it’s important and as we have a PR agency which is not doing a very great job and I'm sorry to say that, but we have picked Martin Sorrell to do that job and he is running around the world explaining that this will not work for X Y Z reason... but we feel that this will work because the two of us [Lévy and Wren] not only have mutual respect [but] have built a tremendous relationship and even friendship." Reacting to criticism of the deal from Sorrell and Jones, Lévy told Campaign: "One [of these executives] could now be very marginal, and the other will be unseated from number one. It’s not the kind of thing I’d have done – my education doesn’t need me to be nasty." 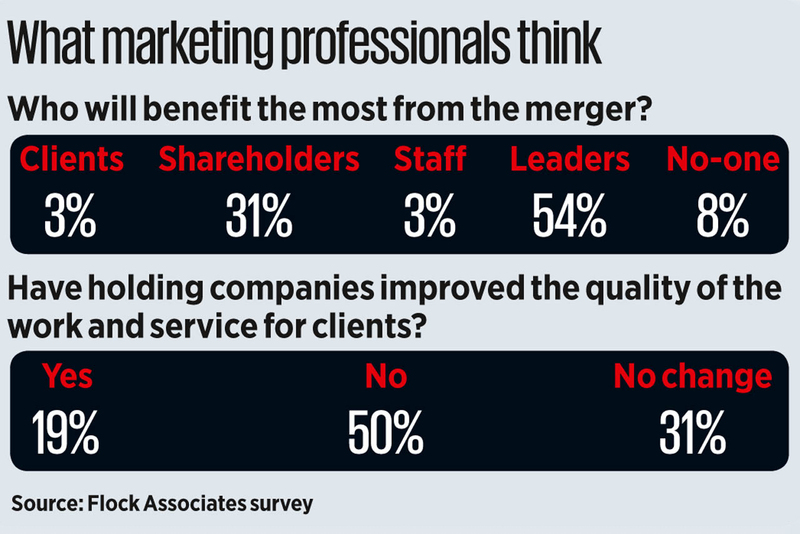 A poll from Flock As­sociates, provided ex­clusively to Campaign, found that 54 per cent of marketing industry professionals surveyed believed Lévy and Wren had the most to gain from the merger.